The 4th Generation iPad is only a minor improvement over its predecessor but still remains the tablet to beat. An upgraded A6X processor, Apple's new Lightning connector and a better front facing camera are the main differences. All in all this is an iterative upgrade that should only interest those who don't already own a 3rd Generation iPad. Less than eight months after Apple launched the 3rd Generation iPad (called the "new iPad"), there's a new new iPad in town. The 4th Generation iPad is a minor upgrade to the previous model but the biggest benefit for Australian users is compatible 4G connectivity. There's also an upgraded A6X processor and Apple's new Lightning connector but all in all this is an iterative upgrade that should only interest those who don't already own a 3rd Generation iPad. There's really very little difference between the 4th Generation iPad and the previous model. The new 4th Generation iPad is almost identical in design to the previous 3rd Generation model. It has the same gorgeous retina display, the same stellar build quality and the same weight and dimensions. It's offered in the same black and white models as the previous version, too, so there's really very little difference between the two models. For full details on the design and the retina display of the 4th Generation iPad, you can reference our review of the 3rd Generation iPad here. 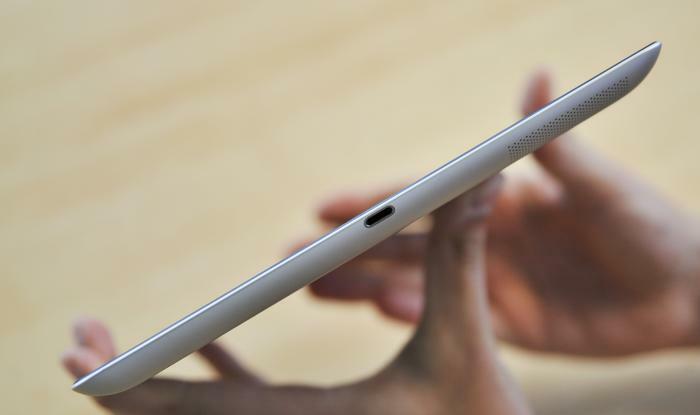 The one thing that has changed, and the only physical difference you'll notice, is the connector at the bottom of the iPad. The 4th Generation iPad uses the new 8-pin Lightning connector instead of Apple's old 30-pin dock connector. The change means Apple's entire new range of portable devices (iPod, iPhone, iPad) now use this new dock connector. The connection change is hardly a big deal, but there will be an initial annoyance as Lightning accessories take time to hit the market. Once they do, however, you'll notice no improvements aside from the smaller connection and the fact that the Lightning connector can be plugged in either way. This is handy if you're stumbling for the charger in the dark, for example. Despite the 'Lightning' name, the 4th Generation iPad doesn't charge quicker than the 3rd Generation model, nor does it transfer data to and from a computer any faster than the previous dock connector. The 4th Generation iPad is identical in design to the 3rd Generation model. Apple has a few compatible accessories for the Lightning connector already available. There's a Lightning Digital AV adapter ($59) that can connect the iPad to a TV using a HDMI cable, a Lightning to SD card camera reader ($35), a Lightning to USB camera adapter ($35), a Lightning to VGA adapter ($59) and two Lightning to 30-pin adapters (one $45, one $35) that enable compatibility with older accessories or chargers. These adapters are all on the expensive side but work as described. The only physical difference is the new Lightning connector on the bottom. It's not the number of apps that's relevant here but the quality of them. Using the 4th Generation is much the same as the previous model: excellent. The UI is simple and easy to grasp, there are over 275,000 dedicated iPad apps in the App Store and performance is as smooth and snappy as ever. It's not the number of apps that's relevant here but the quality of them and the fact that they've been specifically designed for a tablet. Whether it's content aggregation apps like the Flipboard and Pocket, high quality games like Real Racing 2 HD, Modern Combat 3 and Sky Gamblers: Air Supremacy, entertainment apps like Spotify, Showyou and Foxtel Go, or social media apps like the excellent Tweetbot, the iPad has a huge advantage over its competitors thanks to the well populated, quality App Store. 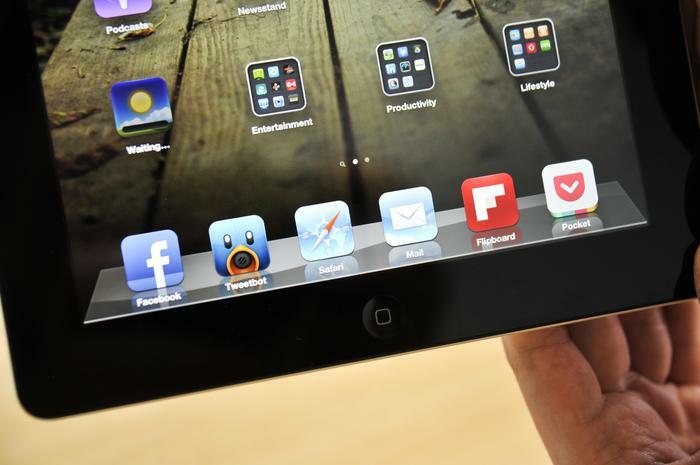 The 4th Generation iPad's retina display remains one of the best screens we've ever seen on a tablet. The iPad has a huge advantage over its competitors thanks to the well populated, quality App Store. Apple officially says the new A6X processor in the 4th Generation iPad is up to twice as fast as the previous model. While this may be true, we didn't notice too much of a speed increase during general use compared to the 3rd Generation iPad. Graphically intense games run as smooth as ever. Apps still launch quickly. There is no lag or delay during general use. We did note that the 4th Generation iPad powered up quicker than the previous model and game titles like Real Racing HD and Modern Combat 3 loaded a second or two faster. However, the difference really isn't obvious unless you're comparing the two models side-by-side. We suspect the apparent benefits of the new A6X processor won't be felt until app developers utilise the extra power. It's a nice future proof feature, but not one that immediately has an impact on the overall user experience. The 4th Generation iPad still gets rather warm during regular use, particularly on the lower left corner. It doesn't get so hot that it becomes unusable, but when watching a video or constantly browsing the web the device does become noticeably warm. 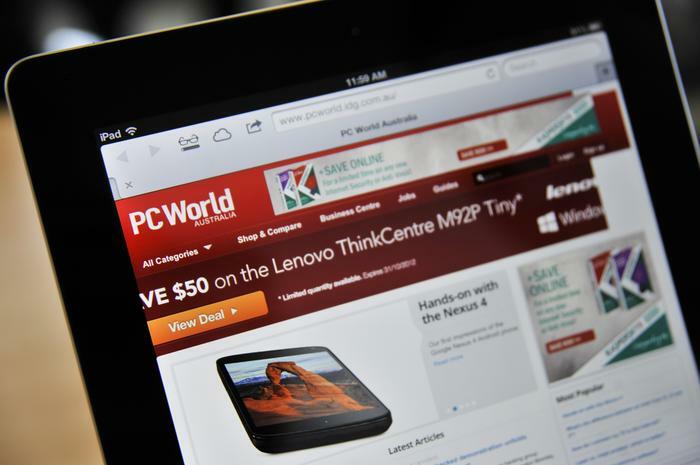 The biggest benefit for Aussie users of the 4th Generation iPad is 4G compatibility. Apple's previous 3rd Generation iPad was marketed as a 4G device but it didn't support the 4G network band used in Australia. 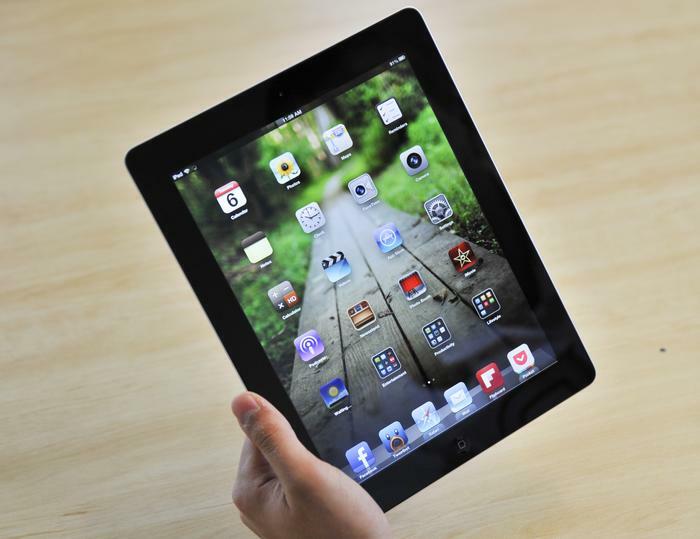 The 4th Generation iPad is now compatible with the 1800MHz LTE networks currently operated by Telstra and Optus. We weren't able to test the feature as we were supplied with a Wi-Fi only iPad model to review, but the faster 4G data speeds in Australia will benefit anyone who regularly travels with their iPad. Old and new: the 4th Generation iPad sitting on top of its predecessor. Even with heavy use the iPad's battery easily pushed through a day and a half of use. 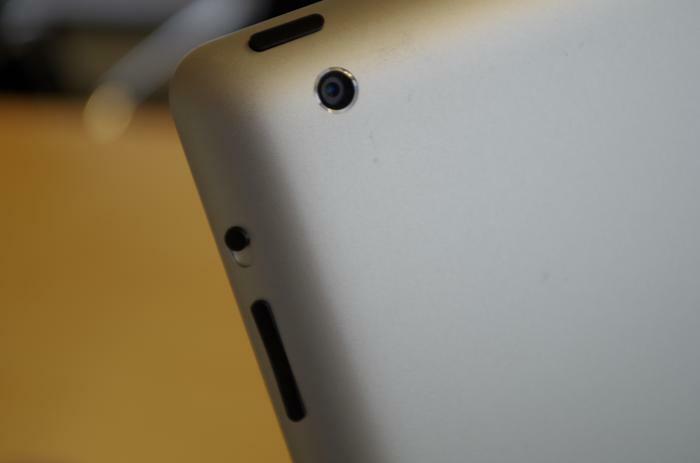 The only other significant upgrade on the 4th Generation iPad is the front-facing camera. It has jumped from VGA to 1.2-megapixels and therefore offers HD Facetime calls. During testing, Facetime calls were much clearer and provided better video quality than the previous model iPad, so there's definitely a visible improvement here. Images captured with the front-facing camera remain poor, however, so Facetime or video call apps like Skype and Tango are the only beneficiaries of the upgrade. Apple says the 4th Generation iPad is good enough for 10 hours of Web browsing over Wi-Fi or 10 hours of video playback, the same as the previous model. In our testing we found these claims pretty close to the mark and generally experienced over nine hours of battery life. Even with heavy use consisting of Web browsing, video watching, music listening, the odd game and constant email, the iPad easily pushed through a day and a half of use. It's an excellent result and one that most of its competitors can't match. All in all, the 4th Generation is a very minor upgrade from the previous 3rd Generation iPad, so owners of that model need not apply here. If you own an original iPad or the iPad 2, the retina display, 4G connectivity and faster internals of the 4th Generation iPad make it a solid upgrade and one that you should be able to justify.